This training is designed to advance Scrum Masters with an understanding of how to use scaling for larger enterprise projects. This training goes deeper than Scrum and also provides an overview of Kanban, and the other practices that are needed to be successful with large-scale development including DevOps, Agile Engineering, Release Management, Continuous Improvement, Agile Architecture and can serve as the foundation for becoming a SAFe® Release Train Engineer. In this dynamic class, students should feel empowered to move to the next level in their agile journey. Agilest LLC reserves the right to postpone or cancel any event if there are insufficient registrations or if presenters are unable to attend due to illness. If necessary, you will be notified no later than 7 days prior to the event and all registration payments will be refunded promptly. If circumstances require, presenters may be substituted for alternative qualified presenters with equivalent experience. Previous experience on a Scrum team and one of the Scrum certifications recommended above is helpful. 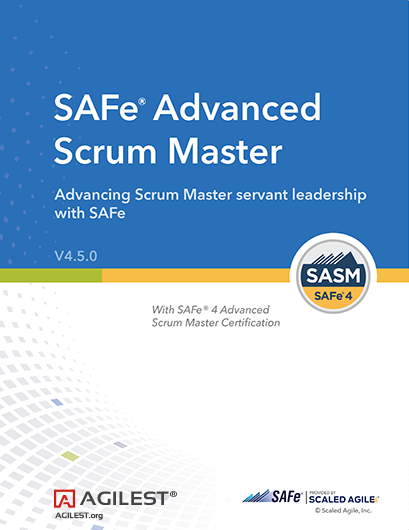 This SAFe Certification training provides 16 CE hours for PMI certifications including the PMP and the PMI-ACP certifications if the CEs you have already earned do not exceed the number of hours permitted for Agile training category.